1. Heat medium saucepan over med-high heat. Coat pan w/ cooking spray. Add onion to pan; sauté 3 minutes. Stir in pasta, broth, wine and thyme; bring to a boil. 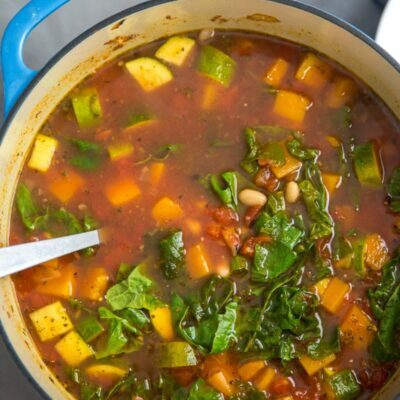 Cover, reduce heat, and simmer 15 minutes or until liquid is absorbed and pasta is al dente. Stir in chopped chives and lemon juice. Keep warm. 2. Heat oil in a large skillet over med-high heat. 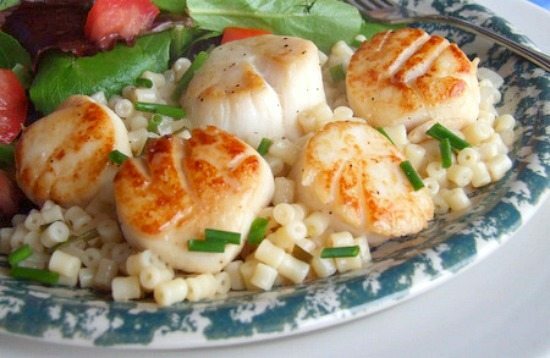 Sprinkle scallops evenly with salt and pepper. 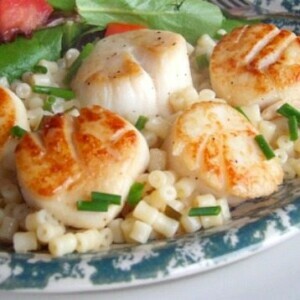 Add scallops to pan; cook 3 minutes on each side or until desired degree of doneness. 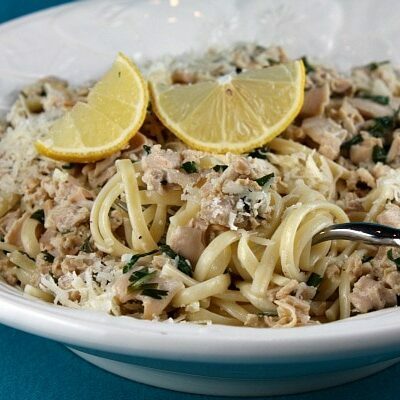 Serve with pasta mixture. 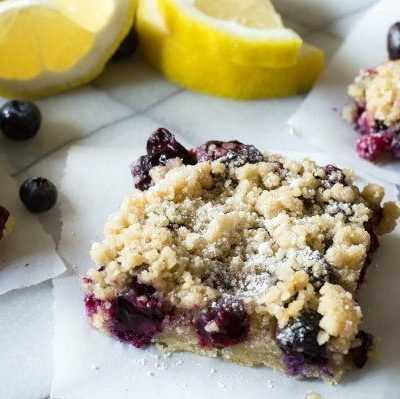 *If you are preparing this recipe as GLUTEN-FREE, be sure to use a brand of chicken broth that is known to be GF, and serve over a bed of quinoa or other gluten-free grain instead of pasta (or use gluten-free pasta). *The picture above shows an alternate pasta in the recipe: tubetti #62. If you sub this sort of pasta, you'll need to keep adding additional chicken broth until pasta tests done.